5. Click icon on the right side bar. Another development in IDNLINE. This year INDLINE has a contract with the World Vision. World Vision is a Christian relief, development and advocacy organization dedicated to working with children, families and communities to overcome poverty and injustice. To support the communication of its branch offices in Indonesia, communication needs to be set up in 60 remote areas through satellite. World Vision uses INDLINE application as a conference tools, messenger and IP based voice communication. A step forward for the company to integrate its national movement to help those in needs. 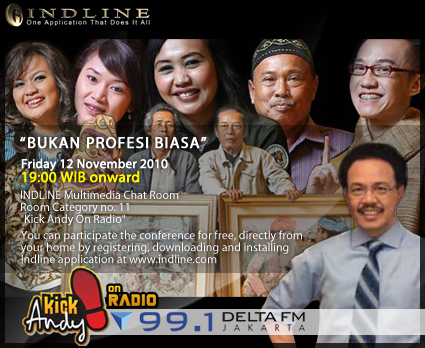 Besides functioning as a community IP based rich media application, INDLINE has worked with several FM radio stations in Jakarta to broadcast their INTERACTIVE RADIO PROGRAMS through Indline multimedia chat rooms. This mean that the listeners can now hear, see and interact directly with the announcer. The announcer can also see the listener through their web cams. Last month Farhan from Delta FM in Deltanesia program has interviewed Youk Tanzil from Indline about this new technical breakthrough. It was a video & voice streaming interview. The interview was listened & watched by many people from all over the world. Earlier this month Indline Live Performance by FTB in Indline multi media room was aired by Prambors Radio into 18 major cities in Indonesia. The result was astonishing. This kind of collaboration will continue with several prominent stations such as Prambors, Delta FM, Female Radio and Radio A. Several other Radio station will follow. Hi to all kaskusers, INDLINE would like to thank you for coming and using our communication application totally made in Indonesia to connect all of you. Thank you for your support. We would like to inform you that your Kaskus multimedia chat room is in room category no.26 "community". 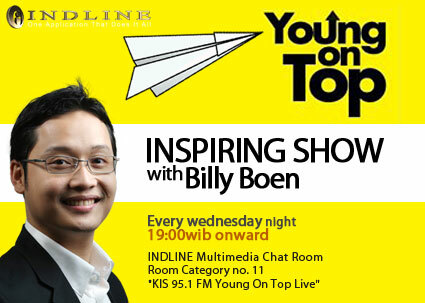 We hope you enjoy your stay on INDLINE and bring many more friends into your multimedia chat room. 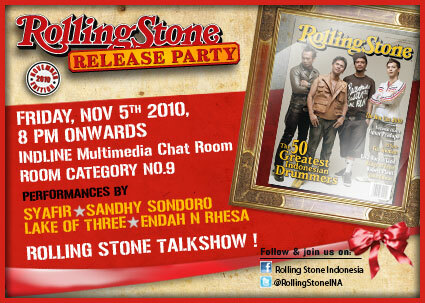 See you in Kaskus chat room.